A melodious compilation of some of the most popular songs from Marathi films performed by various artists, played back to back. Watch Sangeet Marathi live On YuppTV. 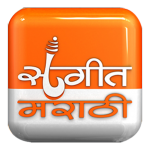 Sangeet Marathi is a 24X7 music channel telecasting latest non-stop marathi music all over the world.